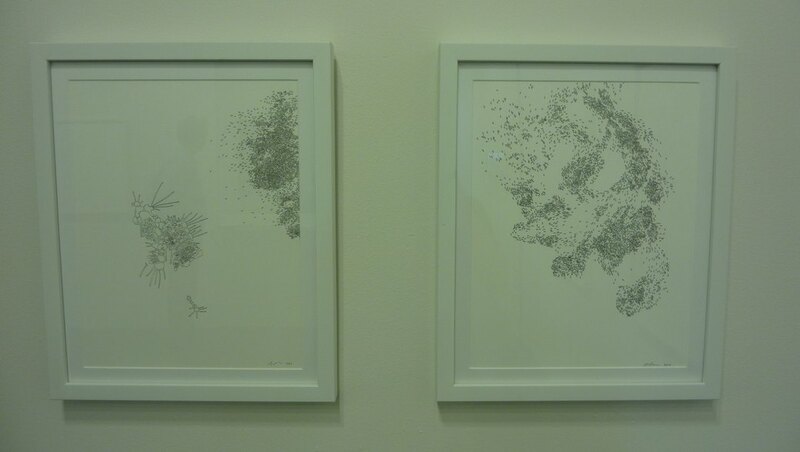 two of the three art exhibitions I’m about to write about. 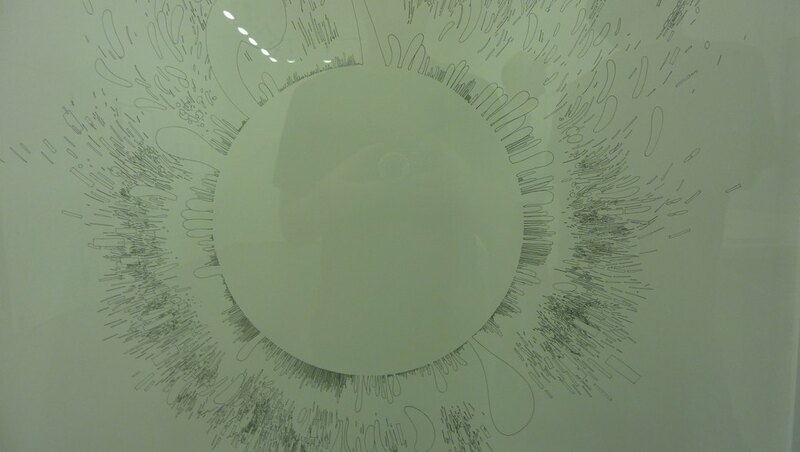 I’m coming around to the opinion that art should be experienced with a lucid detachment. The kind that comes with waking up next to it as the sun begins to shine in the large loft windows of an old garment factory. No coffee. No cigarettes. Just a good deal of blinking and possibly a stretch. Things come to you in waves. The realization that a day has begun sinks in and the only consolation is your surroundings. In Studio 10, the show is Image and Objecthood. Oddly enough, it was the color fields that jumped out first. They sparkled like something you’d expect to find in Studio 54 circa 1979. There were three of them, green, blue and red from the window. The sun hit these first and as it crept in further the netted rocks on the floor began casting shadows. 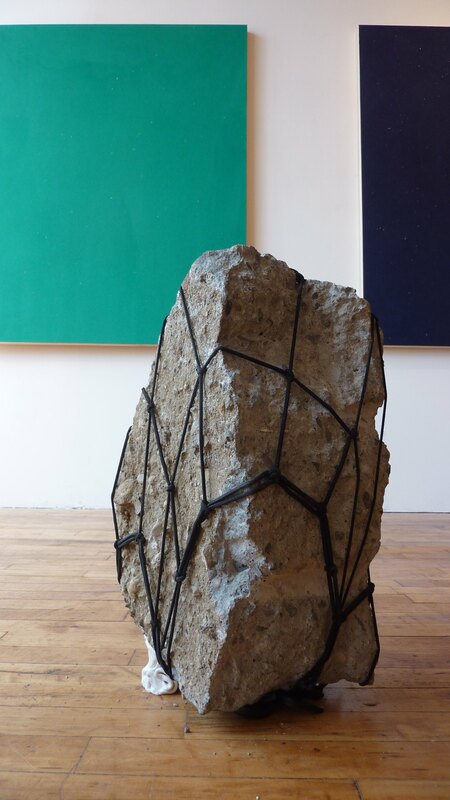 These rocks, upon first walking into the gallery warranted little more than a glance over, or so I thought. I’d encourage anyone to lay on the floor and face the color fields. It feels like taking a swim off the coast of the British Isles. If anyone looks at you oddly, remember, they’re not seeing the same thing you’re seeing. 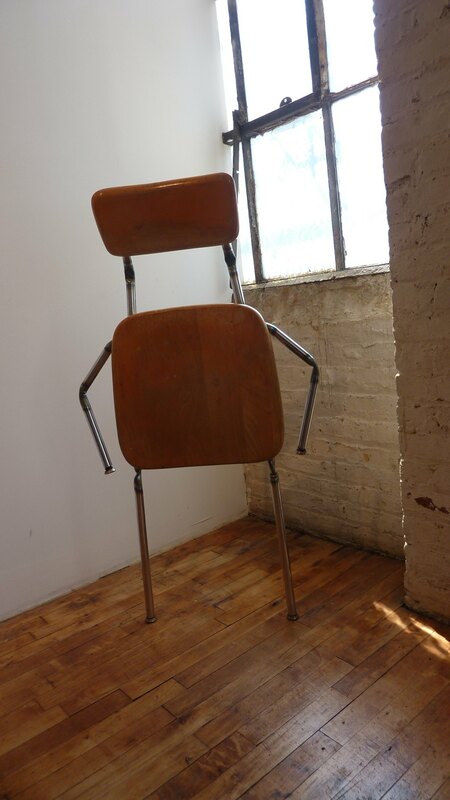 Finally, the assembled chair sculptures really set the show off. A figure can be found in one of the sculptures that is easy to overlook upon first wheeling around. Once the sun has made it around to light the entire gallery, look at them from as many angles as possible. There are many ways to take art in. Much contemporary art requires action on the viewer’s part. No art is created in a vacuum and it never stems from waiting for the paint to dry or the film to develop. With that said, I'd be remiss to not mention the black and white photography that makes up the 'image' portion of the show. They flank a paper tapestry that gives off the appearance of being wrinkled. When the windows are open, the tapestry floats with the breeze. 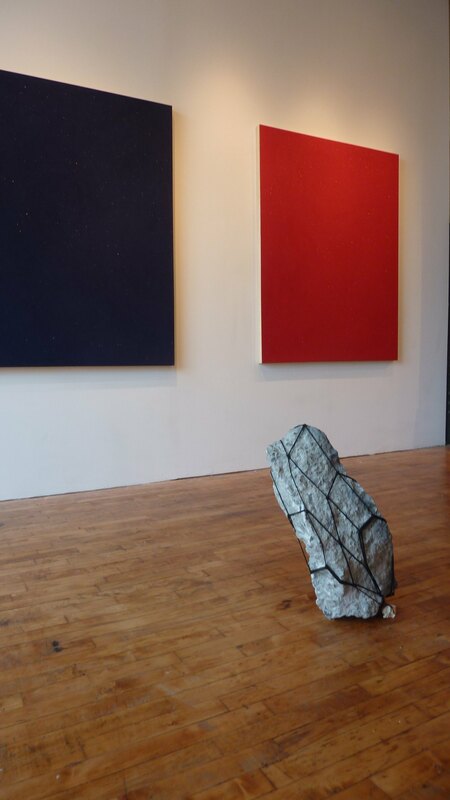 Once you’re ready to move on, it’s recommended that you go to Slag Gallery. 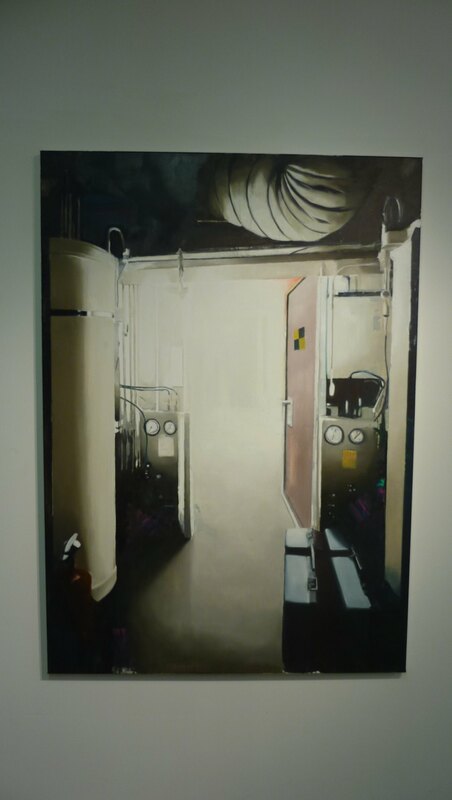 The solo painting exhibition of Sander Cedee: Insider Outsider will challenge everything that I said in the above paragraphs. The action that is asked of you here is mental. You have to put yourself within the title of the show: Are you inside looking out or are you outside looking in? Where does the distinction even lie? 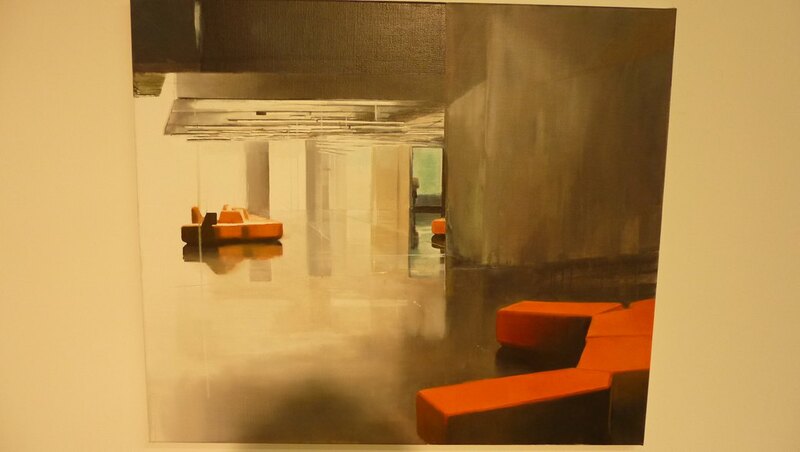 There are brightly rendered scenes of empty airport lounges. Dark industrial scenes that could very well have been the basement of the building you’re currently in (especially given that it was once home to a huge woodshop). The thing that got me about this show (and it’s personal which is only fair to share, as I’m asking you to allow yourself the same in this case) was sleeping under the psychiatrist’s office scene. 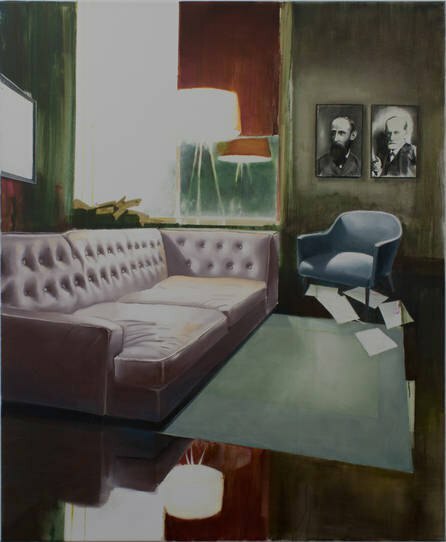 A severe portrait of Freud within the portrait of everything he represents (while we’re on the subject, imagine Freud railing cocaine off of that mirror-like floor), as with every portrait people are nowhere to be found. Except in the case of this one. The ghosts aren’t implied, they’re right there watching over the scene. In the case of this exhibition: Sleeping here was like having a room with windows to all the other rooms. This exhibition is a laboratory. Not one that you might find Dexter in, this is more on the level of Captain Nemo’s submarine. Imagine looking out of the portholes and the sea-monkeys (plankton) have actually begun architecturally altering the scene. They’ve begun building seaports, waterways, causeways. Being eco-conscious they’ve even laid aside many areas for lush algae parks. It’s as though some of the brainier sea-monkeys studied the agricultural history of Papua New Guineans and laid out terraced hillsides to account for the water current’s wilder side. The ancient people of that island nation had to account for tremendous mudslides which could wipe out entire crops. What the plankton are doing in their imagined cities is hard to know. One thing is certain, some are more aesthetically inclined than others. It could all be blown away by a blue whale skimming along with his mouth open. Blue whales feed in highly concentrated areas of zooplankton. These entire cityscapes could be blown away by baleen and mouth plates. Much like Myanmar or Japan being washed away by tsunamis and plate tectonics. All of these exhibitions can be found in the 56 Bogart complex. Image and Objecthood is on exhibition in Studio 10 until September 30th. Insider Outsider is on exhibition in Slag Gallery until October 7th. 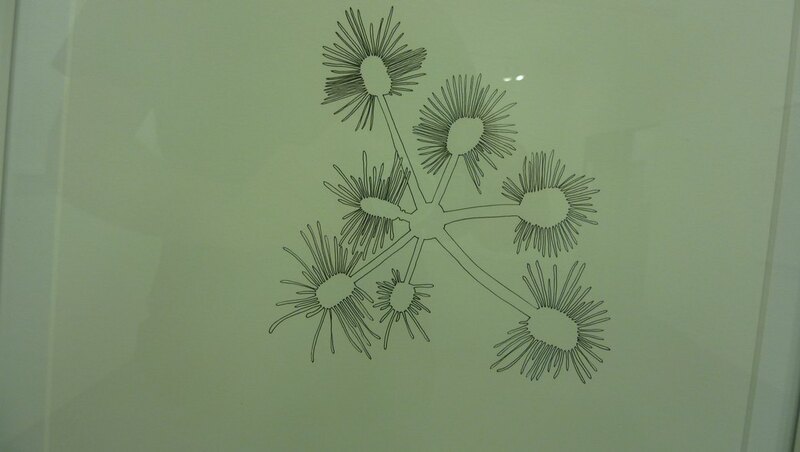 Structural Biology is on exhibition in Robert Henry Contemporary until October 14th.